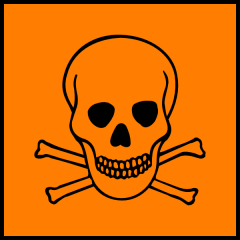 Below is a listing of individual chemicals substances found as constituent ingredients in the chemical products used within the Irish Army Air Corps at Baldonnel & Gormanston aerodromes. Many of the chemicals listed are toxic, corrosive, target specific organs or are otherwise harmful to health. however in the table below we specifically tag whether they are known carcinogen, a known mutagen, a reproductive toxin or either a respiratory or skin sensitiser. Note there are and were a large number of chemicals in use in both Baldonnel & Gormanston. For this reason this page should be considered a constant work in progress.